MONTICELLO, Ind. 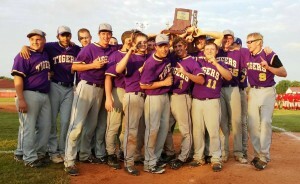 – In a thrilling 11-10 victory over West Lafayette, the Northwestern Tigers won the IHSAA Class 3A Twin Lakes Baseball Sectional in eight innings. Tim Blankenberger was the hero, ripping a walk-off single deep to left field to score Keagan Downey with the game-winning run. 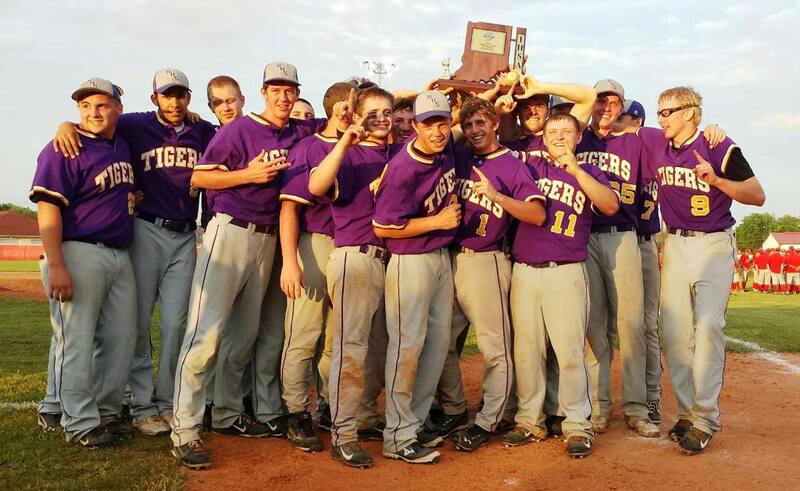 This is the ninth sectional title for the Purple Tigers baseball program, and first for rookie head coach Kyle Beachy: 1968, 1984, 1989, 1992, 2001 (2A), 2002 (3A), 2005 (2A), 2007 (2A), 2014 (3A). Chris Lowry will broadcast the Northwestern game(s) live on 1350 WIOU.